Video: Poland Provokes NATO-Russia Nuclear Standoff? In early December 2015, Poland’s government issued a number of statements concerning the country’s participation in the NATO Nuclear Sharing program, which allows NATO member countries to deliver US nuclear warheads in wartime, using their own means of delivery. The proposal was made due to the impending retirement of Luftwaffe’s Tornado IDS strike aircraft which is Germany’s sole means of nuclear delivery. The Eurofighter Typhoon which is replacing the Tornado in service is not nuclear capable, which raises the question of what is to happen to the US stockpile of 200 B61 free-fall nuclear bombs that represents the “German” nuclear arsenal consistent with its participation the program. This being the case, according to Polish officials and experts, it is only natural that Poland’s F-16 fleet ought to undertake the mission which is being abdicated by Germany. The placement of nuclear weapons on Poland’s territory would clearly change the dynamic of the NATO-Russia relationship, and for the worse. There are two reasons for this rather remarkable and sudden proposal. The first is Poland’s sense of security which has been steadily deteriorating over the last few years. There are several reasons for that state of affairs. They include the negative effect of Afghanistan and Iraq deployments for the Polish military which stripped its budget to the minimum in order to field a medium-sized contingent to Afghanistan. The effect was to reduce the combat readiness of its military, especially when it comes to expensive, sophisticated weapons like the F-16 fighter (of which Poland has 48) and the Leopard 2A4/2A5 MBT (over 200 tanks total). The expense of their upkeep means a sizable proportion of Poland’s conventional arsenal is currently non-operational due to technical problems. It is very telling that whenever the Polish Air Force participates in the Baltic Air Policing mission, it invariably deploys MiG-29 fighters and not the F-16s. Moreover, whereas Polish military experts have tended to disparage Russia’s military capabilities and compare Poland’s military reforms favorably to Russia’s, the recent operations in Crimea and, especially, Syria, have forced a reassessment. Therefore nuclear weapons have become attractive in order to offset the shortfall in conventional capabilities. The other reason is political, and here the target is not so much Russia as Germany. The current Polish government which consists of Euroskeptic conservative nationalists is welcoming the opportunity to diminish Germany’s importance within NATO and the EU and increase Poland’s by making Poland a more attractive ally to the US than Germany. The current Polish leadership is deeply mistrustful of Germany and fearful of its economic and political power within the EU as well as its ability and willingness to pursue economic cooperation with Russia, which Poland resents. It is clear that Poland hopes to both diminish Germany’s standing and drive a wedge between Russia and Germany and the rest of the EU by pursuing a policy of attempting to provoke Russia and thus place Germany in the unenviable position of having to back its NATO/EU ally. Will Poland succeed in becoming a NATO Nuclear Sharing program partner? At the moment it appears unlikely. Poland’s weak conventional forces and a vulnerable nuclear delivery vehicle force (48 F-16s, many of which are not operational and which would need to be modified to carry nuclear weapons in any event) means that any NATO nuclear basing would have to be accompanied by a sizable conventional deployment, including an air-defense system and anti-ballistic missile system. Poland at the moment has no modern long-range anti-air weapons. By contrast, the 200 B-61 bombs in Germany are based at the Büchel airbase in western Germany, close to the border with Luxembourg where they are relatively safe from Russian conventional attack. Basing them in Poland would automatically place them within easy range of Iskander ballistic missiles and Kalibr cruise missiles, not to mention tactical aircraft. Therefore their basing in Poland would require extensive and costly military security measures. Perhaps this is what Poland’s establishment is hoping for. 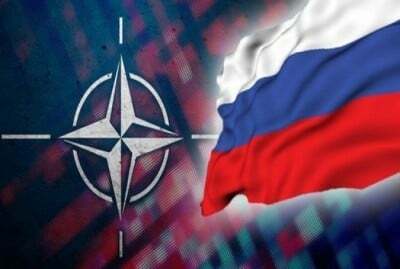 However, the cost and controversy associated with this range of measures are likely too much for the European NATO members to accept, barring a serious deterioration in the Russia-EU relationship.